Heat oven to 350°F. Spray 8x4-inch loaf pan with cooking spray; lightly flour. In large bowl, break up cookie dough. Add sour cream, egg and lemon zest. Beat with electric mixer on medium-low speed 2 to 3 minutes or until smooth. Fold in blueberries. Spoon mixture evenly into pan. Bake 40 to 50 minutes or until golden brown and toothpick inserted in center comes out clean. Cool 5 minutes. Run knife around sides of pan to loosen cake. 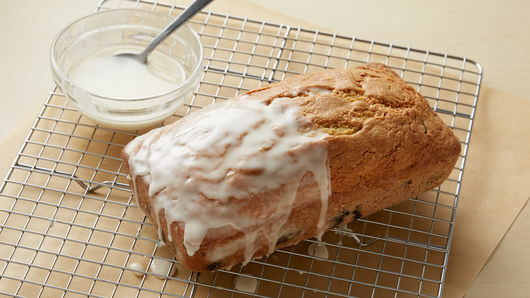 Remove cake from pan; place on cooling rack. In small bowl, mix powdered sugar and 1 tablespoon of the lemon juice; continue adding lemon juice, 1 teaspoon at a time, until desired drizzling consistency. Spoon glaze over hot cake. Cool 45 minutes before serving. 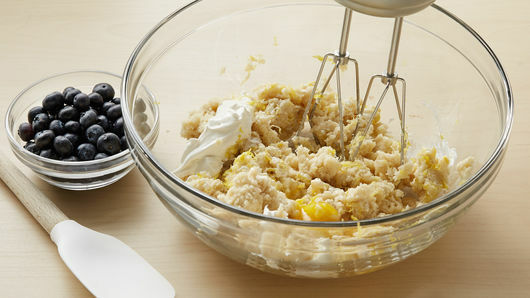 If you are using frozen blueberries instead of fresh, add about 10 minutes to your bake time. One of my mom's family heirloom recipes is a from-scratch sour cream pound cake. It’s so moist and dense, and a favorite of all ages. 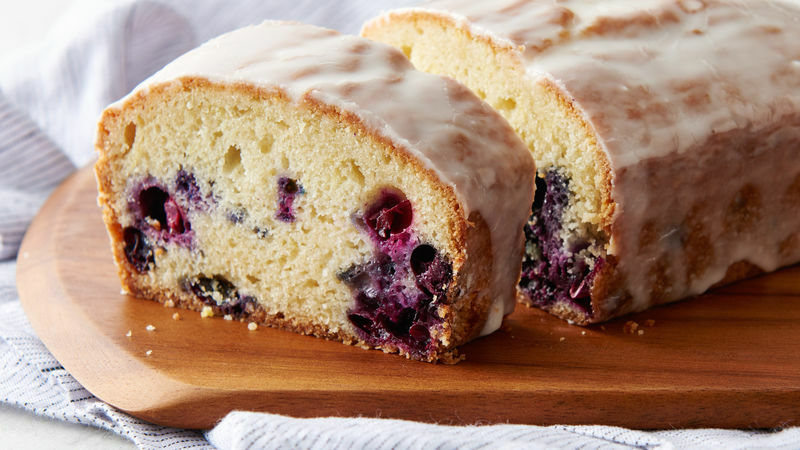 Using Pillsbury™ refrigerated sugar cookies, I was able to create a pretty good pound cake of my own, and I added lemon and blueberries, one of my husband's favorite combinations. This would be great paired with fresh berries and whipped cream. It’s classic yet modern, and will never go out of style.